NORWOOD, MASS. – For the second time since opening their doors just 15 months ago, Castle Island Brewing is growing again, boosting capacity by nearly 50%. 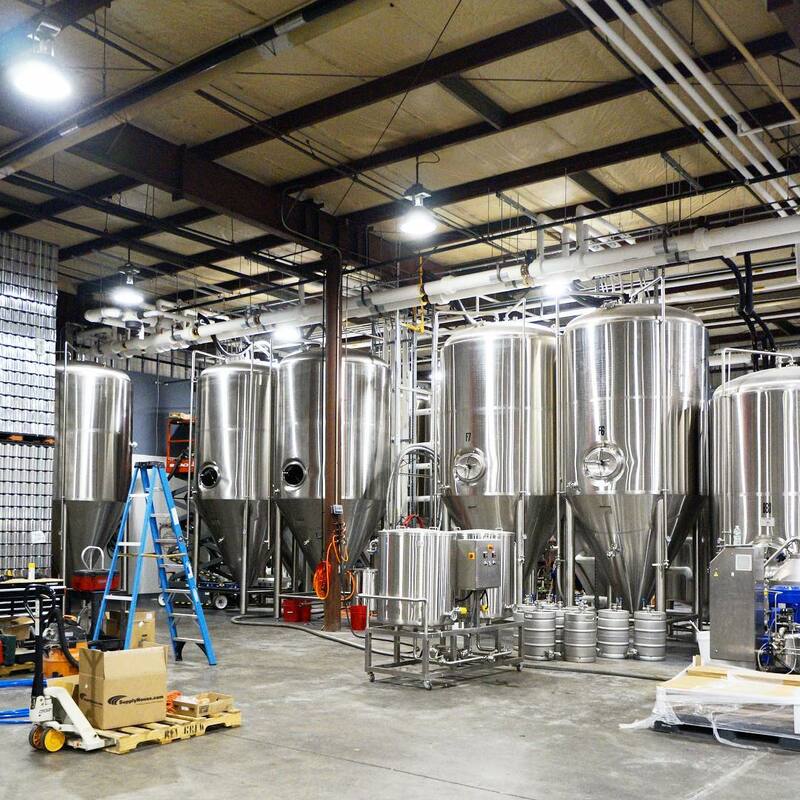 Driven by increasing demand, the company recently completed the installation of three new 60-barrel fermentation vessels, bringing the brewery’s total capacity to more than 13,000 barrels annually. 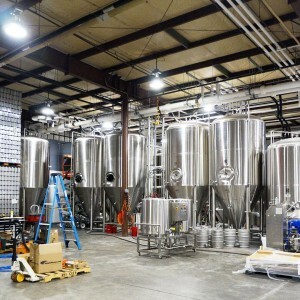 This marks Castle Island’s second expansion within a year; last Summer the company added a pair of additional tanks to support sales through the wholesale channel. In 2016, their first year of operation, Castle Island produced 3,500 barrels of beer. And although this number represents only a fraction of the brewery’s increased capacity, Castle Island has seen depletions rise by more than 120% year to date in 2017 compared to the same time last year, and Castle Island expects to produce approximately 7,000 barrels of beer this year. 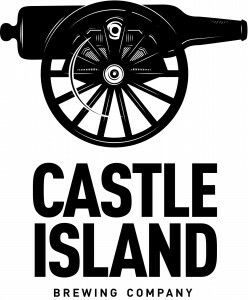 Castle Island’s first collaboration beer also rolls off the line this week. The brewery has partnered with the Black Ale Project to create The Bravest, an “All American Dry Stout” clocking in at 4.3% alcohol by volume. 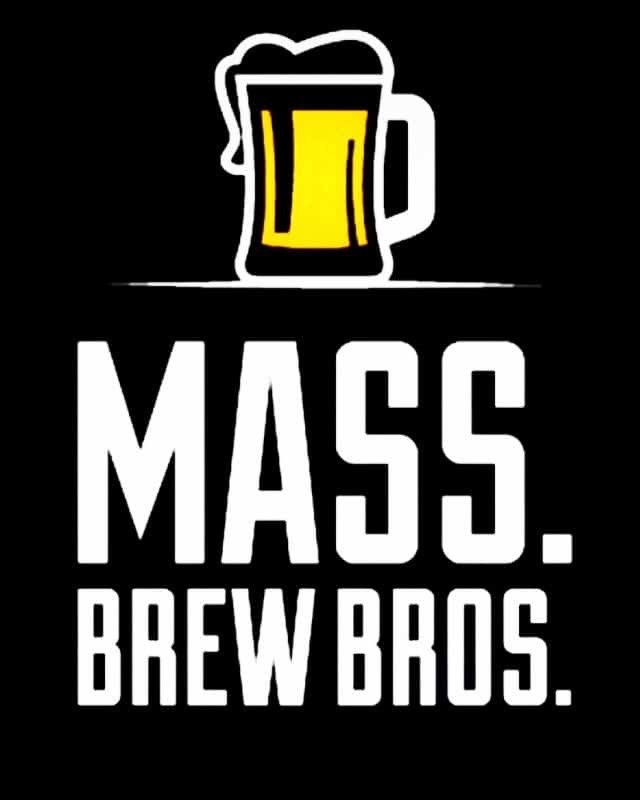 The Black Ale Project, started by Founder Dave Pappas, partners with breweries across New England in a beer-based initiative to raise money and awareness on behalf of U.S. war veterans. 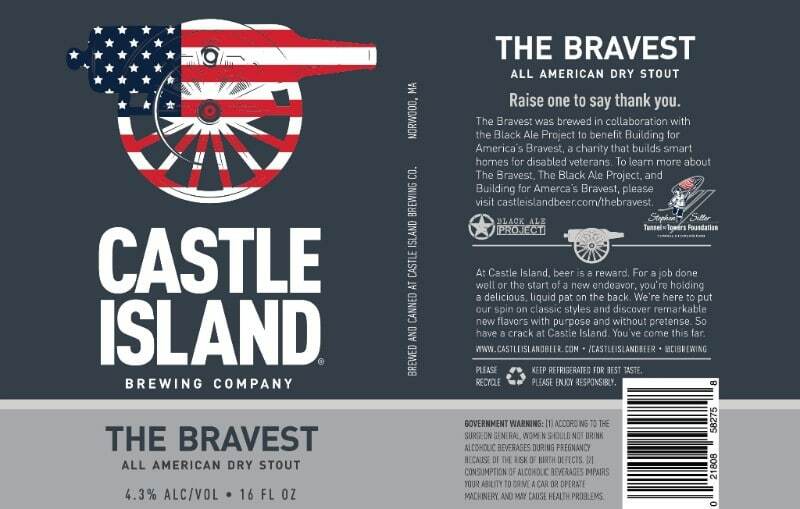 The Bravest, Castle Island’s contribution to the project, goes on sale at the brewery only starting Wednesday, March 8. Proceeds from The Bravest will benefit Building for America’s Bravest, a program of the Stephen Siller Tunnel to Towers Foundation that builds smart homes for disabled veterans returning home with catastrophic injuries. “We selected Building for America’s Bravest for their amazing work making sure that those who have made major sacrifices for their country are provided with adaptive, intelligent homes tailored to their specific condition,” added Romanow. Located off Route 1, at 31 Astor Ave. in Norwood, Mass., Castle Island was recently named the Best New Brewery in Massachusetts by RateBeer. The brewery is open to the public on Tuesdays and Wednesday from 12:00 P.M. to 6:00 P.M., and Thursdays through Saturdays from 12:00 P.M. to 8:00 P.M.
For additional information about the brewery and for an updated list of retail locations where Castle Island beers can be found, please visit the company’s website (castleislandbeer.com) and Facebook page (facebook.com/castleislandbeer). Email press@castleislandbeer.com or call 781.325.1892 with any other questions. Castle Island is dedicated to crafting the highest quality beer with purpose and without pretense. With a focus on American ales, we make offerings that are both unique and approachable. You can find our beer throughout Massachusetts in cans and on draft, as well as at our Norwood headquarters.